Winter has passed. Canberra winter was quite mild this year. I quite enjoyed it, but didn’t do much mapping. Australia Institute of Sport (AIS) grounds—halfhearted. Wasn’t that interested. But recorded some of the names. Fern Hill housing area—enjoyed doing this. Including the green areas and the housing estate names. Added some building names in the city CBD. Also green areas in the theatre district. Vernon Circle lookout etc. Mapped out all the parking areas around Vernon Circle. That was bugging me for the longest time. Also mapped out all the Russell Offices parking lots. Added parts of the National Arboretum: the zig zag footpath. And the Wide Brown Land artwork. Drew out some of the boundaries for the previously undone embassies in the Yarralumla area. From memory: Saudi Arabia, Sri Lanka, Denmark/Norway, Pakistan. Also surveyed some of the footpaths in this area. Finally surveyed north and south parts of Yarralumla, adding in housing estates. Some really nice views around Yarralumla Bay/Yarralumla Shores. Very small amounts of green space in ANU. Very incomplete. No time to do more. Barton buildings and spaces. Boring and tedious. Recently: Surveyed area around Pearce shops. Also Torrens shops—what a big difference between Torrens and Pearce, even though they are suburbs that are side by side. Most recently: Surveyed Wanniassa and Monash. Surprisingly (and sadly) much of Wanniassa Shops, Erindale Centre hadn’t been done before. Incredible amount of footways had been previously undone, in Wanniassa alone. Also surveyed and drawn in the massive Goodwin aged care facility and other areas surrounding the Monash Shops. Looks like I’ve been a member for 330 days. Most of my edits have been in Canberra. 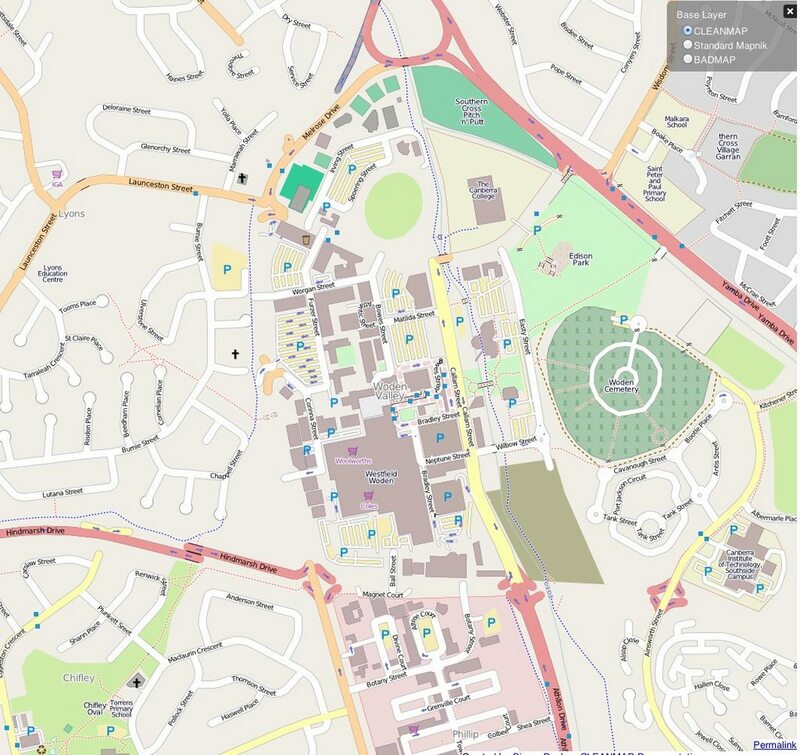 Added footpaths in local suburb & surroundings (Weston Creek). Minor fixes of redaction things when it happened. Parliamentary Triangle. Including memorials in Kings Park/Commonwealth Park. Surveyed Nerang Pool surroundings. Named landmarks around lake e.g. Rond Terraces, Kurrajong Point, RG Menzies Walk, Aspen Island etc. Parliament House grounds. Including all (AFAIK) water coolers. Governor General’s residence (Government House). Lake Burley Griffin circuit. Including most water coolers. Also Yerrabi Ponds, Tuggeranong Lake and Lake Ginninderra circuits. Circularising roundabouts—including State Circle and Capital Circle. Retagged all ACT nature reserves (AFAIK). Naming some residential areas e.g. apartment blocks, and also the local shops in several suburbs (incomplete). Office areas in Deakin (surroundings of John James Hospital, and south of Alfred Deaking High). Realigned Forest Drive and added some new National Arboretum features. Parking aisles here and there. Latest project: surveying, drawing, consolidating, and cleaning up all Canberra off-road signed cyclepaths. I did this for the area south of the lake, then for Lake Burley Griffin itself. Most recently, I’m trying to fix up the northwest (Belconnen to Dunlop) and northeast (Gungahlin) areas. Currently fixing up Harrison. There could be some places I’ve missed, particularly the inner-south, ANU and Fyshwick areas. That may have to wait till after our winter. Fixing a few things around Canberra and Sydney. Then scrolled to Newcastle (large city north of Sydney). Did some repair of the mess around Woden. Just connected some roads. Not too sure about the tags (e.g. lanes =2) or maxspeeds yet. But managed to do a survey with the etrex during a rare drive to fetch someone from the airport. It’s too late (3 am) to add now. I’ve spent some of the evening repairing some of the damage in Sydney. A few days ago, I was interpolating addresses, and drawing little houses in Waramanga (pretty damn micro mapping), and wondering what I was doing. And then… this happens. In Sydney, all I’m doing is some quick and dirty road drawing, in the area where I used to live. I remember the road names, but can’t quite be sure to put them down now (lane, or street, or road). I love the GPS traces. I suspect the folks there are putting bicycle lcn in ways rather than relations. In a way, it’s nice to see how others are tagging different regions. On the talk-au mailing list (or maybe elsewhere), some were using words like decimated, describing a tsunami, or a nuclear bomb in one of my diary comments. Which is true. The Openstreetmap of Sydney looks awful. A larger area than the missing areas of Melbourne and Canberra. It’s so heartbreaking. But then… it’s just a virtual map. No lives lost or property were damaged. Unlike some recent disasters (e.g. Christchurch, tsunamis, nuclear disasters). No one’s restaurant was dragged away by a flooding river (Brisbane). So a bit of route mapping is lost, as are a lot of surveying and armchair mapping sweat. But no one’s house burnt down (traumatic). And it’ll get better. The empty areas will fill in. So a license change… I’m not pleased with how Openstreetmap handled this, but then I’m new here. Woden, I knew about. Curtin as well. Talk-au mailing list has some information. I must be Americanised, to know that sidewalk means pavement, or walkway. Or maybe I’m not. I think this complexity in knowing these different keys and tags is a barrier to entry for beginners. Sure there will be those who live and breathe openstreetmap who will know these. But I only found these out today. They weren’t on the highway=* Key page. Now I’ll have to go back and add “footway=sidewalk” to some of my routes. I was considering just using “Sidewalk=both” for some of the roads. Or “Sidewalk=left” on Pandanus Street, Fisher. Such a PITA, to be honest. I guess I better learn about Search/Replace, or Filter, or whatever JOSM has. Maybe in an email, or a iPhone app. And then it appears—maybe after a couple of hours, couple of days, or a week. But it appears. Why do I have to go to a computer, launch JOSM, then load here, load GPX/waypoints file, click click click, then remember it’s emergency=fire_hydrant, and not amenity=firehydrant, source=survey, then upload. I have done some address interpolation, which actually looks nice on the map. lt’s getting warmer out, which makes things easier. Also tried some relations, for signed bicycle routes. Another thing that is annoying. So I don’t actually get to see lcn=yes (local routes I think) on the Standard map. But the Cycle map takes a few days to update. So… I guess I just wait to see what it looks like before proceeding to label other cycle routes. So I feel to know what has been mapped, one has to load the editor. That’s fine I guess. But it’s a bit annoying. 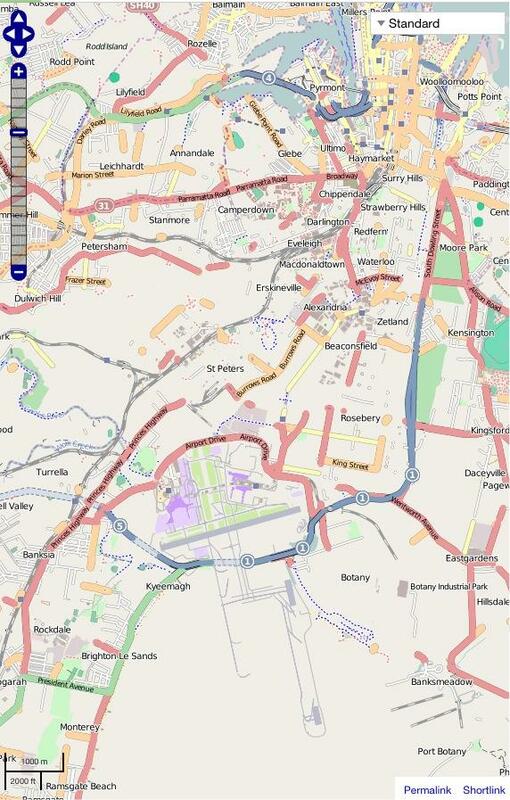 For instance, I can’t zoom in lots on the openstreetmap.org map, so I can’t remember what has and hasn’t been mapped? Whether I’ve added XYZ shop, because it’s not visible on the Standard map. So I appreciate the fairly low bar to getting to use openstreetmap. But I wonder if having the bar too low, then becomes frustrating as one then seeks out information that makes them have to constantly revisit their past work. Trying out a couple of bicycle mounts for the etrex. The Garmin one is solid, but not that easy to remove. Going to try the RAM one. Next, going to try to understand junctions. Probably will have to, when the redactor bot reaches Canberra, and some of the roads will need redoing. JOSM also needs more keyboard inputs. e.g. adding a new key/tag. Shouldn’t have to reach for the mouse for things like that. (EDIT: alt-a does exactly this. RTFM) I appreciate that JOSM has never crashed on me though. 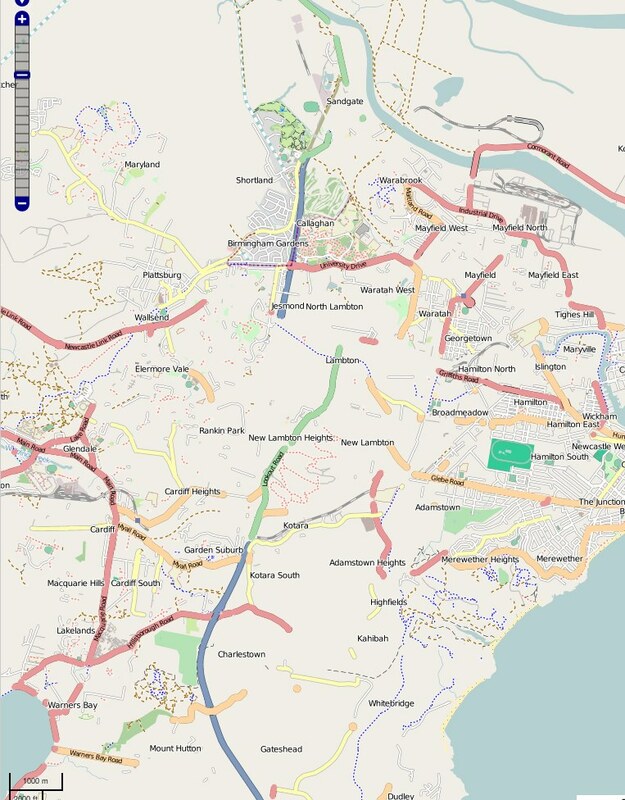 Feeling about negative about Openstreetmap at the mo. It doesn’t look too bad zoomed out, but zooming in, some small areas are decimated. Quite sure the “cleanmap” is understating the effects too. I know some of the remaining stuff is by authors that haven’t agreed to the new terms. Thank goodness I proofread my last entry, trimming it down before going to bed. I didn’t think people actually read diary entries. But this morning there are 4 new comments. Yay. Thanks everyone! It makes the freezing bicycle trips with GPS and phone camera worthwhile. I have a recent Garmin etrex, and a Garmin Edge 200 as a backup. And an iPhone to check the extent that a site has been mapped. I need to learn about Presets and Relations (groan). Some plugins add several enhanced drawing tools. Looks like I’m starting at a time when there is a difference of ideas about licensing. Some parts of Canberra have been mapped by “decliners”—e.g. Garran (where The Canberra Hospital is). The map of Garran looks awesome, and it’s a pity it’ll need redoing soon. I wish the purge just happened, then maybe there’ll be a new wave of local openstreetmap action. A lot of locals must have GPS devices: bushwalking is a big activity here. And so is geocaching. JOSM and a Magic Mouse: harder than it needs to be. Use a 3rd party mouse. I’d love to add house numbers (interpolation I guess), but will only even think about that in spring. I also need to learn more of the JOSM keyboard shortcuts. I would love a Mac native JOSM. e.g. with the look-and-feel of Omnigraffle. But it’s the nature of open source wiki-type projects that that the tools are standardised, cross platform and utilitarian. Being a child of the 20th century (System 7), I’m actually amazed that apps of these sort work on the Mac—Java FTW. How many dentists can there be in one building?! I’ve been a member for 17 days. Openstreetmap has been at the back of my mind for a few years, and now seemed like a right time to get involved. 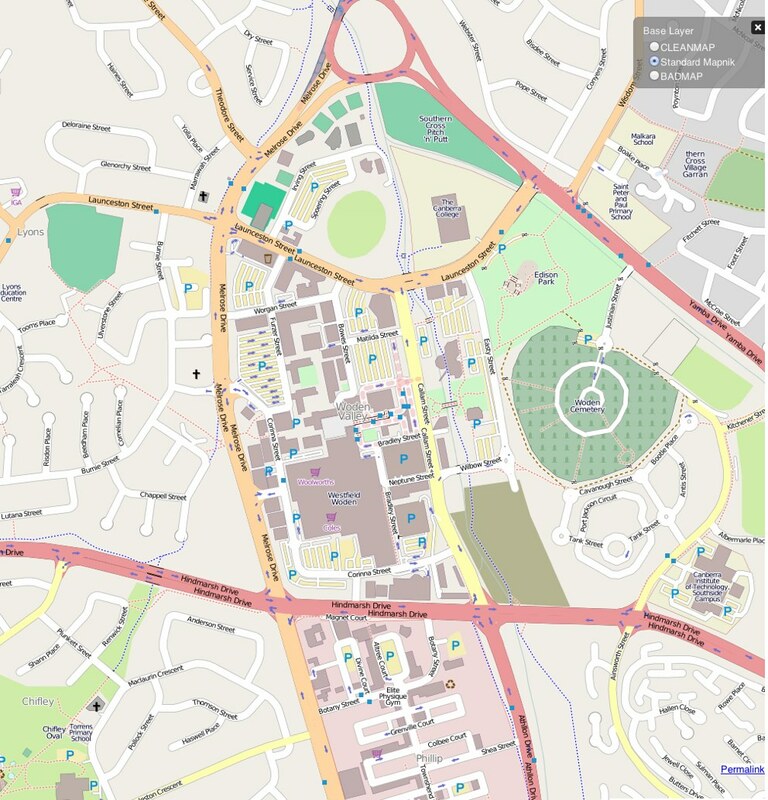 I relied on Openstreetmap when seeking where to live in Canberra a year ago. Annoyingly, there were a few alleys that weren’t marked out. A year later, I’ve scratched that itch. Most of my changes have been in Waramanga and Fisher, as I live there or ride through regularly. It is winter time. Time indoors is spent well learning JOSM. My preferred program over Potlatch. I haven’t yet mapped out the green space around Fisher/Waramanga. But have turned my attention to buildings at the Chifley shops and Woden Town Central. Today… I feel like I’m about done in those areas. But I’m not sure what to do next.